B.S. Johnson Aren't You Rather Young to be Writing Your Memoirs? Aren't You Rather Young to be Writing Your Memoirs? 1. Aren't you rather young to be writing your memoirs? 2. 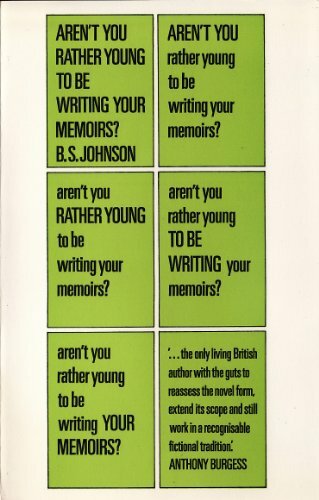 Aren't you rather young to be writing your memoirs?